Famed economist (and very successful investor) John Maynard Keynes said in the long run, we’re all dead. This is obviously irrefutable, independent of reincarnation and afterlives. In the context of investing his point was that an investment that is successful in the long run can only be so if we can make it through all of the short runs that end up becoming the long run. Got that? For this to happen, one needs not only financial staying power but emotional fortitude as well. It’s been said that markets and investments tend to ride an escalator higher and take an elevator straight down when sell offs materialize. If one has to make capital calls to support an investment due to being leveraged or needs money to support other investments or obligations or one just can’t sleep because of the decline in how the market is valuing the asset, then one does not have the staying power to make it to the long run. A very good example of this is MF Global, a commodities brokerage firm, founded in 1783 as a British sugar trading firm. In 2010, after a stint as a New Jersey senator and governor, Jon Corzine was looking to get back into the private sector and putting his trading skills and financial management talent to use with the potential of generating lucrative remuneration. Prior to his public service positions, Corzine had a long and storied career at Goldman Sachs culminating in him reaching the highest echelons as a co-chairman. His expertise was in bond trading. MF Global hired Corzine as chairman and CEO in March 2010 as part of a corporate turnaround effort. Corzine saw an opportunity to alter the focus of the business from commodities and futures brokerage into a full service, global investment bank. This would include getting into the proprietary trading business and putting the company’s balance sheet to work to earn much higher returns. Corzine’s strategy was to take advantage of the distress he saw unfolding in the bonds of distressed European countries such as Italy, Spain, and Portugal. He believed that the prices of these bonds were too low and yields too high and they would either increase in value given all of the European Central Bank support or they would be paid off at par upon maturity. The bonds that were purchased were maturing in 2011 and 2012 so in his mind there was very little chance there would be a maturity default. It would be catastrophic to the Euro and European Union if this were allowed to take place. There would be too much pressure and credibility lost, especially by the European Central Bank, if defaults were allowed to materialize. How did Corzine take advantage of this opportunity? MF Global used a complicated financing structure which was a variation of a repurchase agreement known as repurchase-to-maturity (RTM). The details of the financing arrangement are too complex to get into here but you can read the attached article to find out the intricacies of it. He bet heavily by buying over $7 billion of these bonds, representing approximately 1/7 of the company’s assets. The success of this RTM strategy rested on two important requirements: that the European debt crisis would not worsen, and that MF Global would maintain a stable credit rating. Instead, the European debt situation steadily worsened and bond prices continued to decrease, leading to margin calls from the lenders in the RTM trades. These margin calls were a major factor in the record $191.6 million loss reported by MF Global for the fiscal quarter ending September 2011. This loss led to a downgrade of the company’s credit rating to the lowest level eligible for investment grade, and set off another wave of margin calls on the RTM trades. The downward spiral accelerated during the last week of October. Further downgrades left MF Global’s credit rating at “junk” or speculative grade, indicating a company at risk of default and triggered a new round of margin calls. 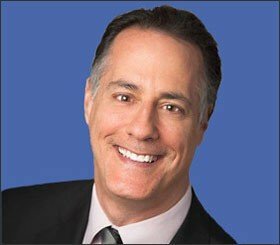 Amid growing concerns about the company’s viability, MF Global experienced the brokerage firm equivalent of a “run on the bank”: customers withdrew funds or closed accounts altogether, lenders canceled credit lines, firms stopped trading with MF Global, and counterparties slowed or withheld payments to MF Global. MF Global filed bankruptcy on October 31, 2011, less than two years after Corzine took the reigns. It was an ignominious end to what had been a storied career which has served to tarnish Corzine’s image and reputation quite significantly. This is another classic example of an investment thesis being right in the long run but with no margin of safety to handle any sort of reversals in the short run. The Orange County bankruptcy that took place in 1994 is another example of this. The treasurer, Robert Citron (or L. Bob Citron as I recall writing my property tax checks to), the only Democratic in heavily Republican Orange County, bet heavily via complicated derivative instruments using borrowed funds on interest rates staying stable or declining. Unfortunately, the opposite occurred and the county was forced to declare bankruptcy because the losses were so significant. Rates did eventually come down, but after they went up first quite significantly, and the structure of the bet offered no margin of safety just like what took place in the MF Global debacle. 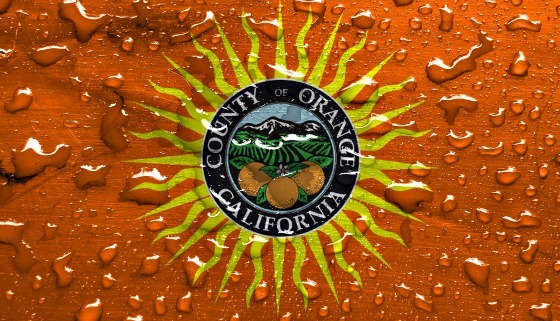 The Orange County bankruptcy was the largest municipal bankruptcy in history up until that point. For an extremely wealthy area, there were some very negative economic effects. Every county program was cut, 3,000 people were laid off, and services were reduced. It was quite a shock to be living there when it happened. After all, it’s a very prosperous area and traditionally with a conservatively run county government. It shows what can happen when there are not sufficient checks and balances and someone can go rogue.